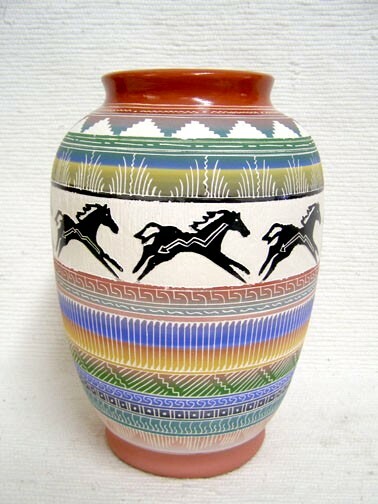 This beautiful white pot with vibrantly colored traditional etching is accented with horses that are encircling the pot. 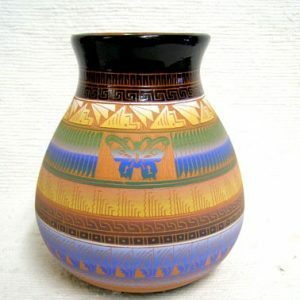 This pot IS glazed on the inside & CAN hold liquid. 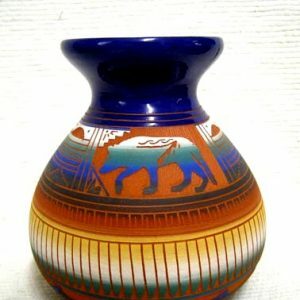 This urn measures 11.5 inches tall x 7.5 inches in diameter. 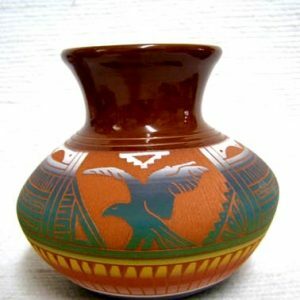 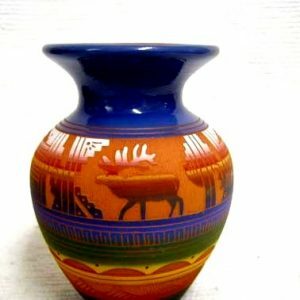 This Navajo pottery is authenticated by artist’s signature on bottom of urn.